PegboardNot just for your tools, a basic pegboard can make a great storage wall for your jewellery (and other accessories). Just paint in an appropriate colour to match your decor and attach S-hooks to hang your items. 18. 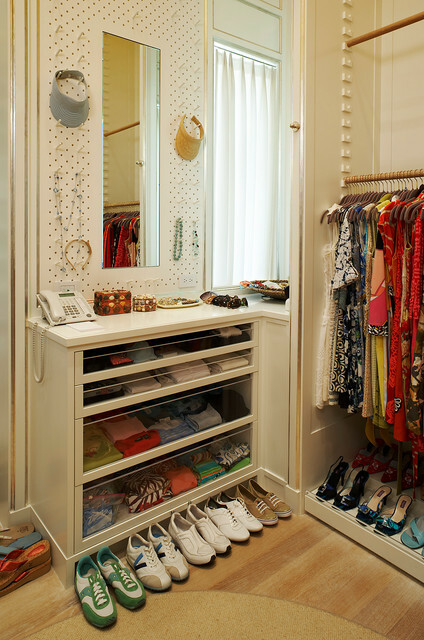 Do up the dressing roomIn the dressing room, tuck a sliver of pegboard beside your mirror to hang delicate jewellery such as necklaces, bracelets, earrings, belts and other accessories (or on the inside of the wardrobe door). You’ll wear your pieces more often if you can see them on display.